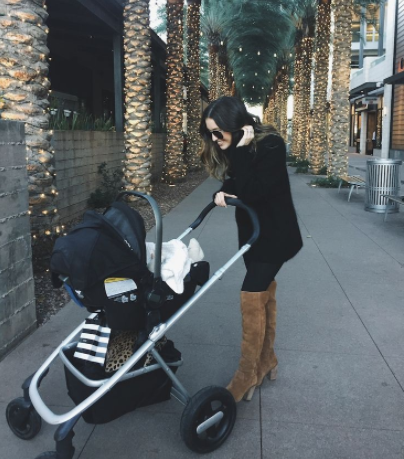 British parents-to-be now have a fashionable way to handle all of the realities of modern life with baby, with a four-mode pushchair that is both fully flat and fully fabulous, available exclusively at baby specialist Kiddicare this coming December. Dutch baby gear design house Nuna is proud to debut the IVVI™- a multi-mode luxury pushchair system that handles carry cot, car seat and curious toddlers with equal parts innovation and fashion-forward design. As always, Nuna has designed features that make life with baby easier. IVVI’s carry cot is cosy for baby with everything from a deep padded mattress to a darling dream drape™- and clever for parents with its secret removable cubby that is perfect for stashing swag and such. The cot’s chic styling and smart design is perfect for both pram or standalone use. The IVVI combines simple and smart Dutch design with comfortable luxury. It will become a part of the family with its ability to be used from birth to toddlerhood. “Nuna strives to make life with children more fun and less hassle with our thought-through innovative designed products and the IVVI does just that. From birth to toddlerhood the IVVI was designed to grow with baby for all the little adventures that come their way,” said Nuna International Product Manager Esther Saint.